Bath & Body Works Canada Coupon: Concentrated Room Sprays for $2.95 + 3-Wick Candles Buy 1, Get 1 FREE + More Deals, Today Only. 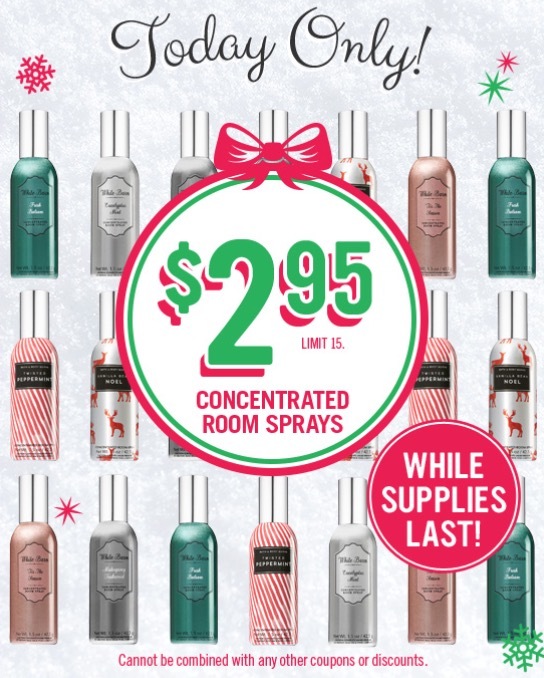 Concentrated Room Sprays, $2.95 each. Limit 15, while supplies last. any idea what the regular price of the 3 wick candles is? thanks!